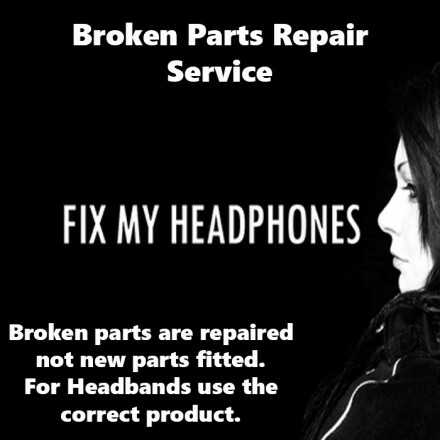 ASUS Broken Parts Repair For Headphones Visit Fix My Headphones Today Includes 3 Months Warranty & Free Return Postage! We have had a lot of customers requesting certain parts of their headphones which have been damaged or broken off completely even lost sometimes. With this service we will either re-create a suitable part or repair the existing part of the headphones which has broken or broken off. Snapped? Damaged? Lost Part? You name it, we fix it. This is a specialist service and has only one price for all parts. If you headband is broken please use our headband repair service. Please note:- This does not include circuit boards and we do not order parts from manufacturer.